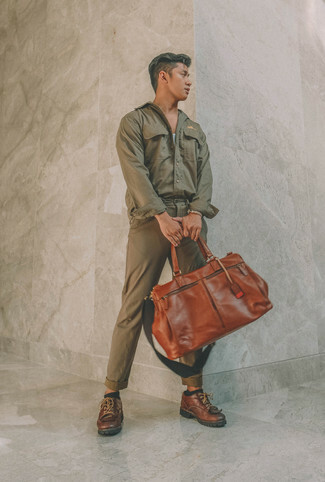 Such garments as an olive shirt jacket and olive chinos are the ideal way to infuse some elegance into your day-to-day collection. And if you want to instantly up the style ante of your look with one piece, enter Frye jones wingtip from Nordstrom into the equation. Wear a black double breasted blazer and black dress pants for a classic and refined silhouette. 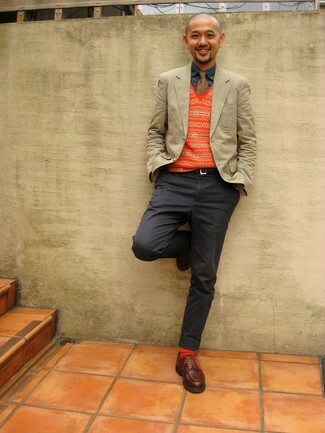 For something more on the daring side to finish off this look, grab a pair of Frye brown leather derby shoes. If you're hunting for a casual yet on-trend ensemble, try teaming an olive field jacket with charcoal skinny jeans. Both garments are totally comfortable and will look great together. 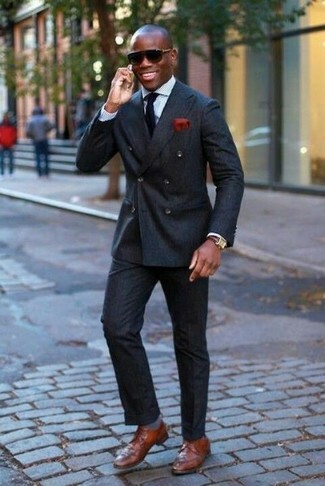 Lift up this outfit with brown leather derby shoes. 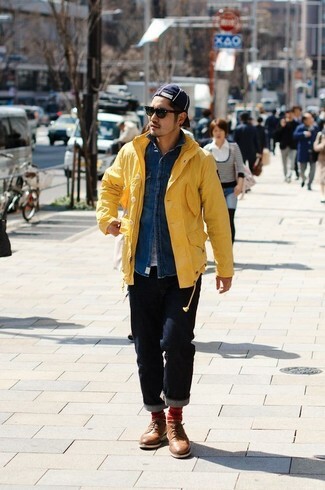 Pairing a yellow raincoat with navy jeans is a smart pick for a laid-back and cool outfit. If you need to effortlesslly dial up your getup with one single piece, introduce a pair of brown leather derby shoes to the equation. For a nothing less than incredibly stylish ensemble, marry a black pea coat with brown dress pants. Frye jones wingtip will add a casual vibe to your look. 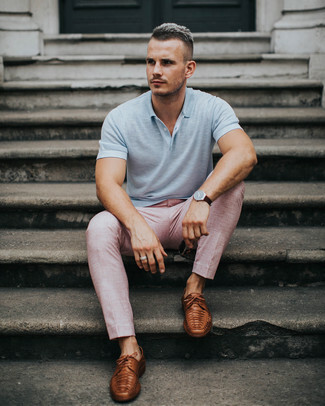 A grey polo and pink dress pants teamed together are a great match. Complete this ensemble with Frye Jones Wingtip to completely switch up the outfit. Contrary to what you might believe, being a dapper dude doesn't take that much the workplace. 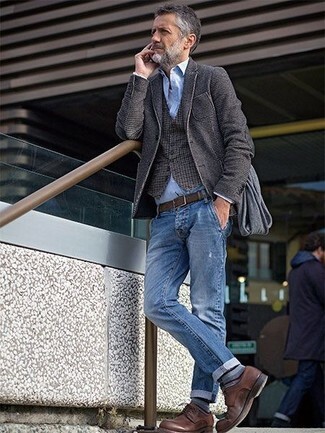 Just wear a beige blazer with charcoal chinos and you'll look awesome. Channel your inner Ryan Gosling and choose a pair of Frye jones wingtip to class up your look. For a nothing less than incredibly stylish outfit, team a red plaid double breasted blazer with white linen dress pants. For something more on the daring side to round off this ensemble, rock a pair of Frye jones wingtip from Nordstrom. Contrary to what you might believe, looking on-trend doesn't require that much effort. Just pair a charcoal wool blazer with blue jeans and you'll look nice. 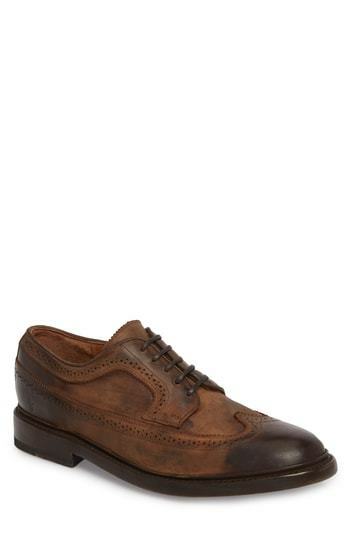 Wearing a pair of Frye jones wingtip from Nordstrom is a simple way to add extra flair to your outfit.